Opening arguments will be presented today, as James Arthur Ray is finally tried for the deaths of three people in a sweat lodge ceremony gone horribly wrong. He told them it was a good day to die so they could be born again. "You're not going to die," self-help author and speaker James Arthur Ray told participants in the sweat lodge that day, they later recalled. "You may think you are, but you're not going to die ... You need to surrender to death to survive it." The sweat lodge ceremony, the culmination of a five-day retreat in Sedona, Arizona, was meant to be a "rebirthing." But by the end of that day, October 8, 2009, two people had died. A third died nine days later, and -- authorities allege -- at least 15 others fell ill.
Ray, 53, is charged with three counts of reckless manslaughter in the deaths and could face up to 10 years in prison on each if convicted. Opening statements are set to begin in his trial Tuesday. And it looks like the trial will be televised. TruTV (formerly Court TV) was granted permission to film the proceedings. You know what that means: I'll be front and center... with popcorn!! Yavapai County Superior Court Judge Warren Darrow granted the request by In Session, formerly known as CourtV, to televise James Arthur Ray's trial. 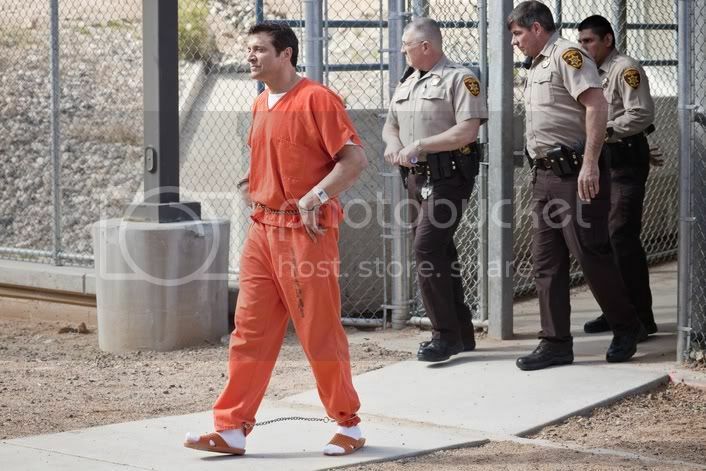 Ray has pleaded not guilty to the three manslaughter charges stemming from the deaths near Sedona in October 2009. Darrow has allowed one still and one video camera in previous hearings, but had not addressed live coverage before Friday. In Session's request said the live coverage would advance Arizona's tradition of courtroom access. Prohibiting it would be akin to telling the media when it can publish information, attorney David Bodney said. Well, we're off to kind of a slow start here. Apparently, Judge Darrow met with attorneys to discuss some pre-trial motions and ended up calling everyone into chambers over a problem with a juror. Let's hope it doesn't delay this thing any further. Both commentators feel the prosecution has over-reached by charging Ray with Reckless Manslaughter and thought Criminally Negligent Homicide would have been more reasonable. Could be. They both seem a little biased against the prosecution; especially Sunny Hostin who makes the point that she read The Secret and it was a great book. Oy. Well, the pretrial motions are done and the prosecution did not get a favorable ruling on what I personally think is a key issue: the past pattern of sweat lodge illnesses. Of course it would be great if they talk about Colleen Conaway plunging to her death while she was playing the homeless game in San Diego and all the years of broken bones... Ah well. So looking at this team of high power attorneys working on Ray's defense, I have to ask, who is paying for all that representation? Ray's official position is that he's broke and had to pay a very reduced bail. These lawyers don't come cheap and I doubt they're working pro bono. I can't get too wrapped up in the commentary, but a couple of interesting things jumped out at me. The reasoning behind some of Darrow's pre-trial rulings is interesting. Apparently he disregarded the past sweat lodge illnesses because the pictures don't show anything that looks life-threatening. In fairness, there's probably no way to prove that they were life threatening, after the fact as no one died. Some of it was really disturbing though. As far as him allowing in Ray's recorded statements it's because he did more than just give words of encouragement. That, Darrow said, would not be enough to threaten anyone's life. But coupled with statements assuring safety like "You might feel like your gonna die but you won't," they become potentially dangerous. I've thought same. All those comments about death aren't just disturbing in their ex post facto ghoulishness but in that they make it sound like everything those folks are experiencing is a known effect of a sweat lodge and perfectly safe. Vomiting and delirium are, of course, not normal sweat lodge effects. Just listening for the second time to this interview with a James Ray fan in which he talks about the breaking of boards with his "bare hands." He doesn't mention the long record of ER visits with broken and sprained hands. He also talks about dressing up like a homeless person, which is of course how Colleen Conaway died. He doesn't mention that either. Maybe he doesn't know. But that's not the funny part. It's that he describes himself as having spent several hours dressed as a "hobo." As Janeane Garofalo has explained at length, the correct term is "boxcar willie." Everyone knows that. Just listened to an interview with Connie Joy. Not sure why this woman and her book weren't on my radar, but I'll definitely be adding the book to the store. Joy was a follower who became disenchanted with Ray's escalating ego and money grubbing and who, herself, got sick in his 2007 sweat lodge. Well, that was disappointing. In Session is over and they still haven't gotten to opening remarks and, nor do we know what the jury problem was. Hmm... Maybe they'll run some footage tomorrow. Oh well.